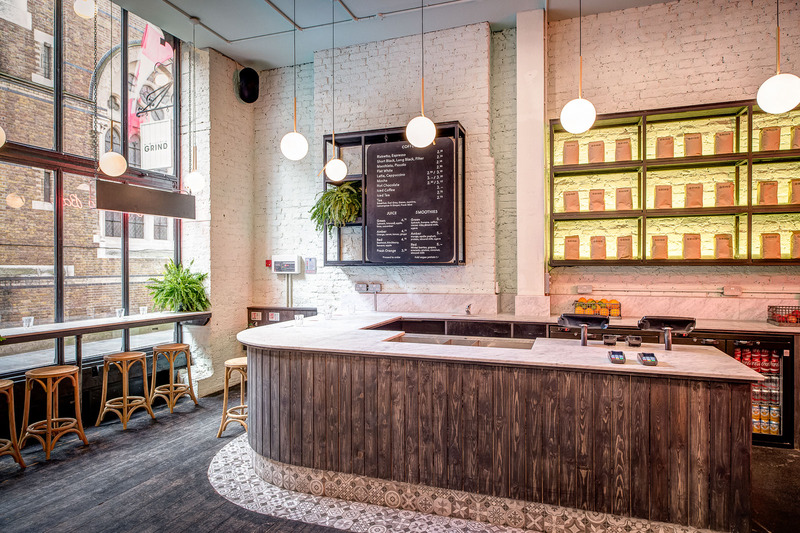 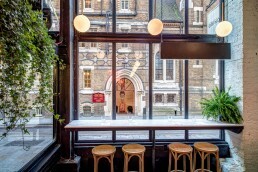 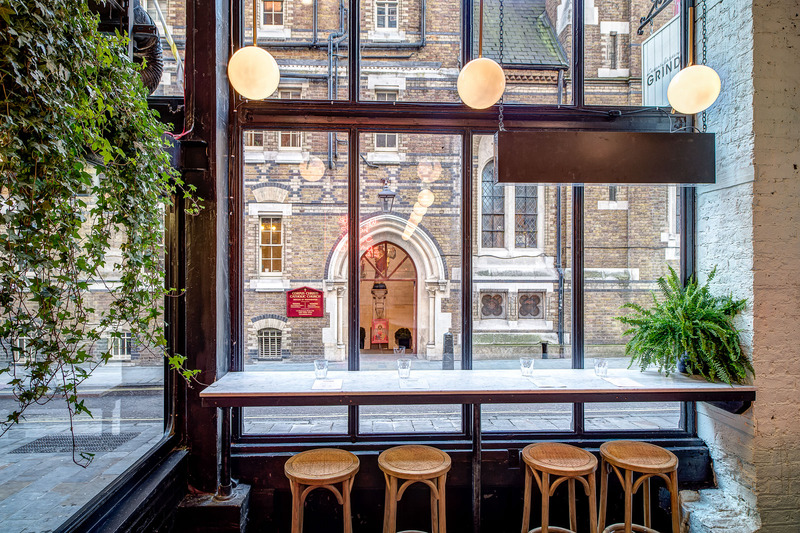 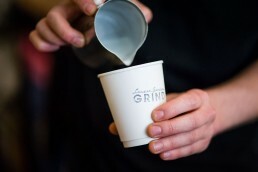 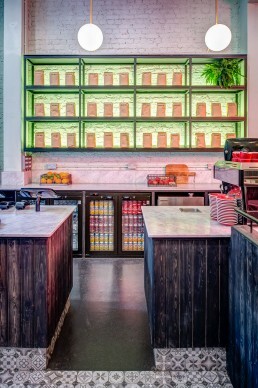 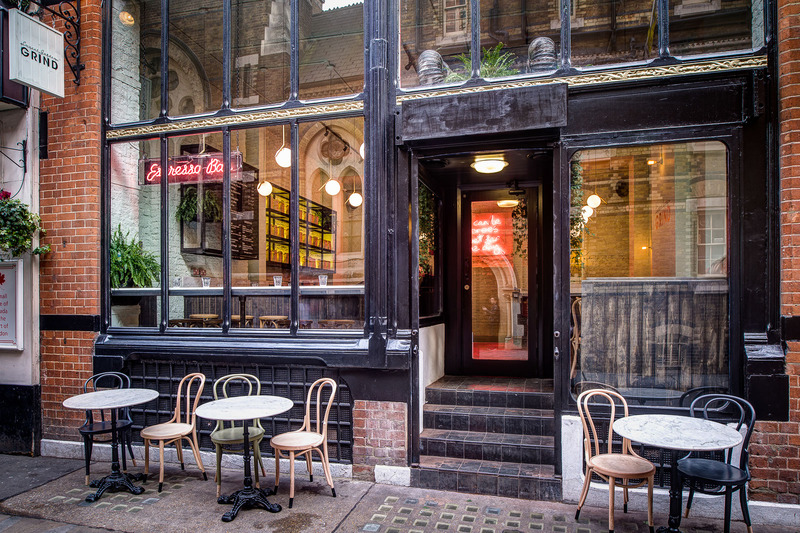 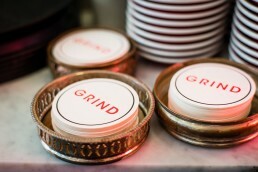 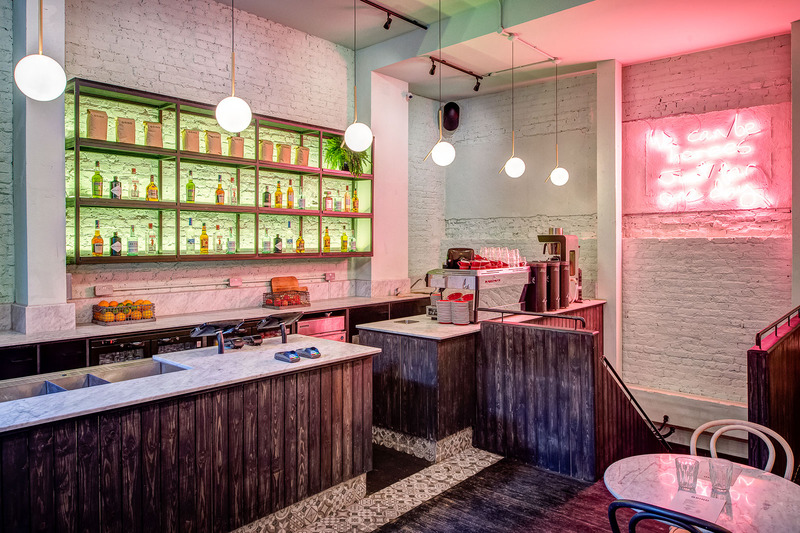 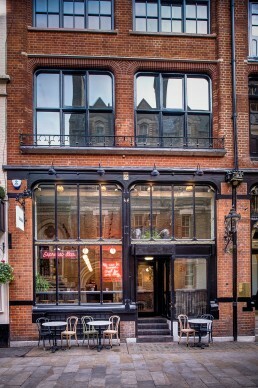 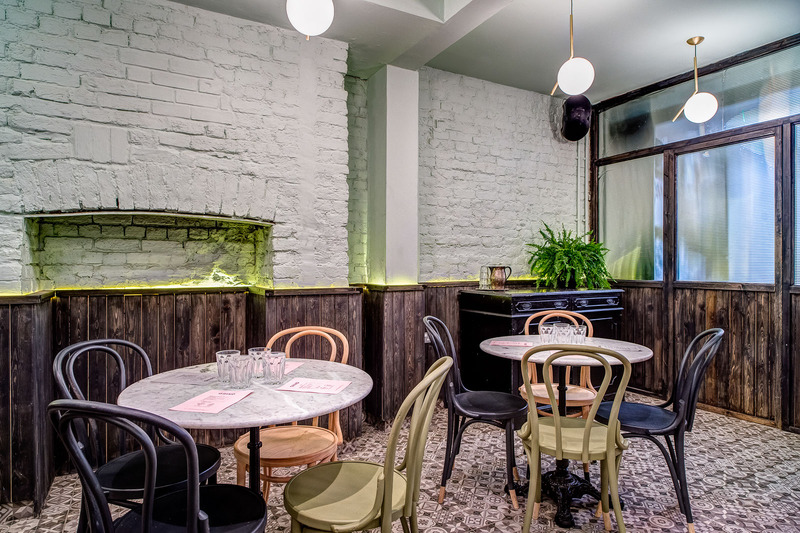 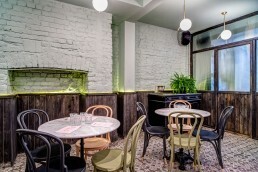 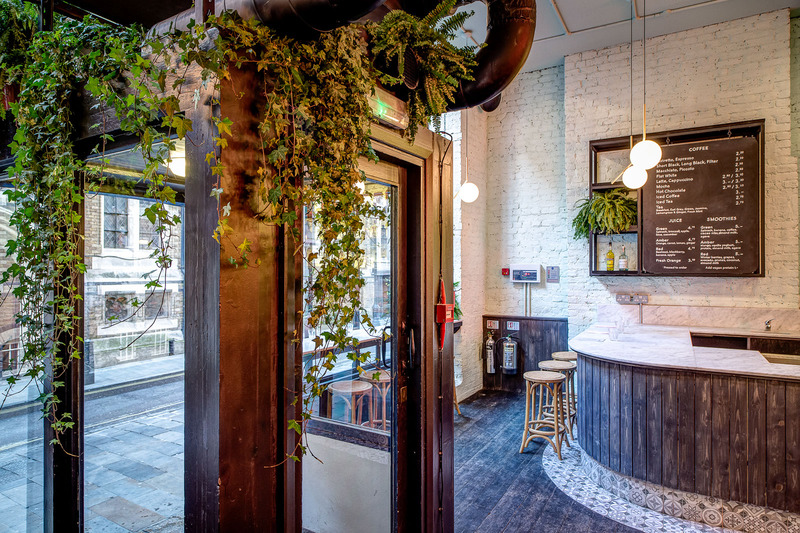 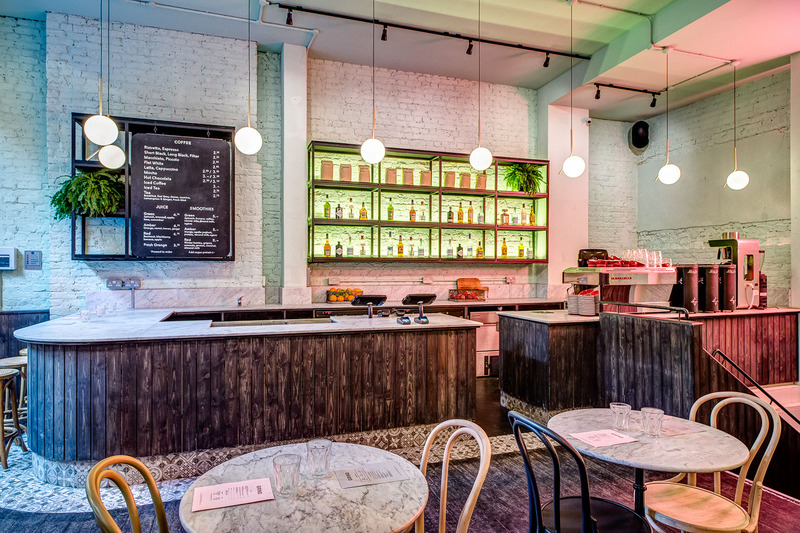 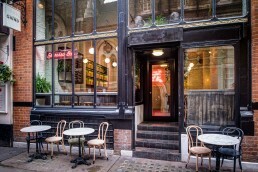 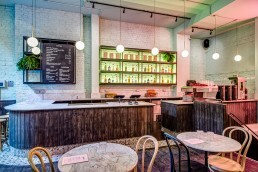 Located in Covent Garden’s hospitality hub of Maiden Lane, this Grind venue is inspired by traditional French bistro dining with a modern twist that feels intimate and electric with a touch of feminism. 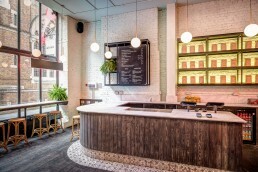 Evolving the design principles from Grind’s typical white toned brick walls, the studio re-envisaged the space with feature pale green walls contrasting dark stained oak paneling. 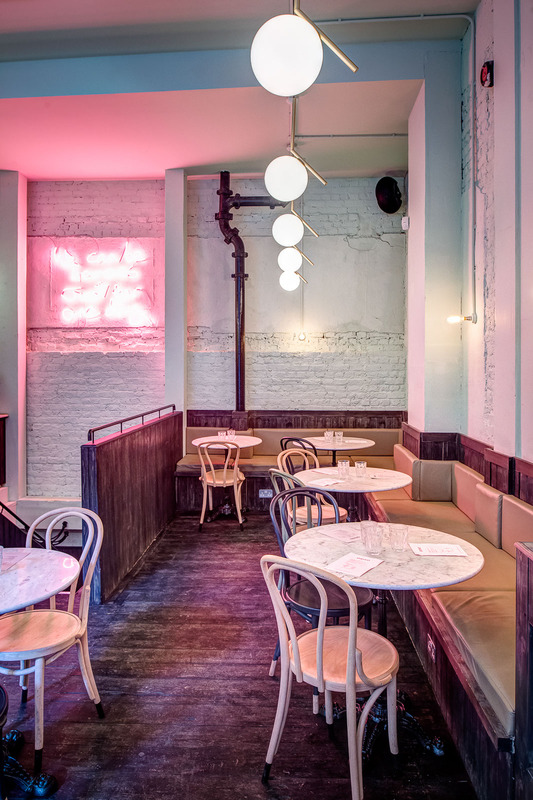 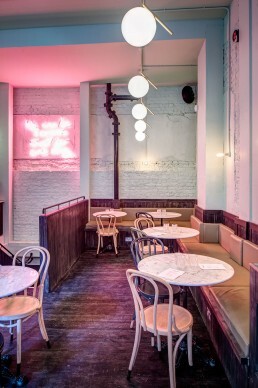 Lighting played an important part in this space, the iconic neon signage featured in all of Grind venues sits on the back wall, scripted in soft pink neon with lyrics from David Bowie’s Heroes.